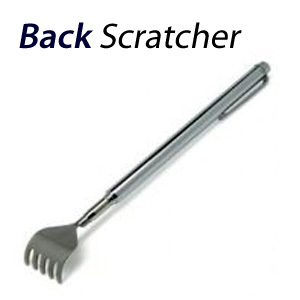 Telescopic Back Scratcher. Extendible up from 6.5" to 20" to reach those difficult itches! Now you can scratch any itch! Stainless steel extendible back scratcher. This metal scratcher extends up to 20" to provide instant relief to areas otherwise one couldn't reach. One of the ends is shaped like a hand, the other has a clip for easy storage. Use it at home, in the office and wherever you go! 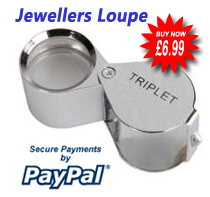 Perfect as a gift and to have it as an extra item for a spa-like treat for you or your guests! Very strong and durable item. Long Hand size: 1.25" x 1.25"
Wasn't in when Royal Mail delivered and there was a mix up with redelivery. Item was returned to vendor who contacted me and rearranged delivery that suited me - was very impressed with them and the product, its small like a pen but extends and does the job - light enough to carry in your pocket. What better gift for someone with an itchy back.